On the first day of Christmas my true love sent to me... New Christmas Solitaire! The 12 days of Christmas. What do they have in store for you? Exciting gameplay! Make chains of cards and remove the golden cards to complete the level! 120 new and unique levels – that's 120 new, original games of solitaire. 12 luxurious Christmas-themed locations with over 15 hours of gameplay! 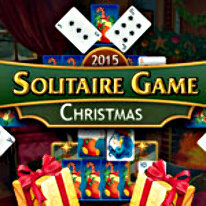 Solitaire Game Christmas is fun to play for new players and professionals alike thanks to our two difficulty modes. Challenge yourself – complete the locations in two difficulty modes and choose which game mechanics you enjoy more. This game is the perfect Christmas present for solitaire fans! Merry Christmas and Happy New Year! -An entertaining solitaire for new players and experts alike!